A vigorous shrub to small tree. Its autumn flowers are cup-shaped, single, white (with a pink colouring at the base) and prolific. 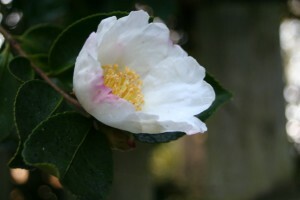 If you have room for only one autumn flowering Camellia this should be high up your shopping list.